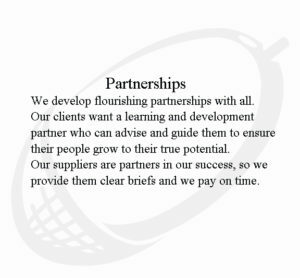 Our success has been built around our core values of exceeding customers’ expectations, making work a pleasure for all, working in partnership with suppliers, giving something back and delivering excellence in everything that we do. This commitment to quality is reflected in the professional recognition and quality standards that have been awarded to The Development Company. We run our business ethically and responsibly. We take great care of our people and the environment. We are transparent, honest and authentic in how we conduct our business. The Five Behaviors of a Cohesive Team were created by Patrick Lencioni following his book on The Five Dysfunctions of a Team, The Development Company facilitators have been trained for the facilitation of the processes required to develop the Five Behaviors of a Cohesive Team. Authorised Partners for the administration and interpretation of the DISC profiling questionnaire. The Development Company has accredited centre status to design and deliver four Train the Trainer qualifications and two Coaching qualifications on behalf of ITOL. All our facilitators are ITOL Members or Fellows. As an approved centre, we can accredit any course we deliver for you through ITOL. Call us today to discuss options. 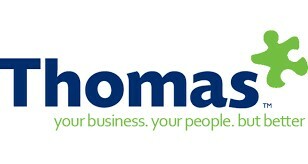 The Development Company has been a member and preferred supplier to Northamptonshire Chamber continuously since 1994, meeting exacting quality standards. With the formation of the new Milton Keynes Chamber, The Development Company is a member and training delivery partner for organisations in the Milton Keynes area. Both Adrian Green and Kay Buckby are approved advisers with Enterprise Nation Marketplace. The Approved Adviser status shows that each person holds membership with an approved professional body that is also a lead authority in their category and that each person has a specifically recognised level of experience working with and advising small businesses. Adrian Green is a member of the Federation of Small Businesses. The Development Company has achieved the Gold Award from Payroll Giving for their staff commitment to good causes and the local community. Kay Buckby is proud to be a Northamptonshire Ambassador. Her family name is a Northamptonshire name and originates from John of Buckby in the 10th Century, referring to the village of Long Buckby. She promotes Northamptonshire as a wonderful place to live, learn, invest in, work and visit. The Development Company Works in Partnership with our suppliers because they are a partner in our success story. We pay people on time within agreed terms. If everyone worked like this, the stress and time saved could be put to use in productive community projects.